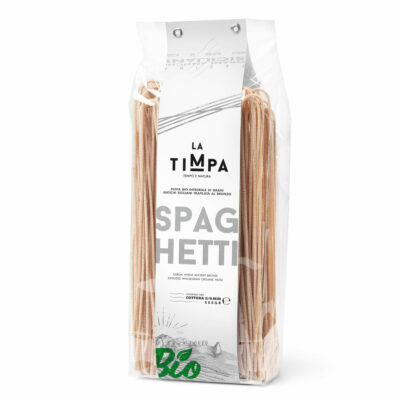 Pasta has ancient traditions and is so well established in Italy that it has become synonymous with being Italian together with its famed pizza. It can well be said that we Italians are a population of pasta eaters, but also enthusiasts of pasta itself. This explains the enormous number of forms and varieties. 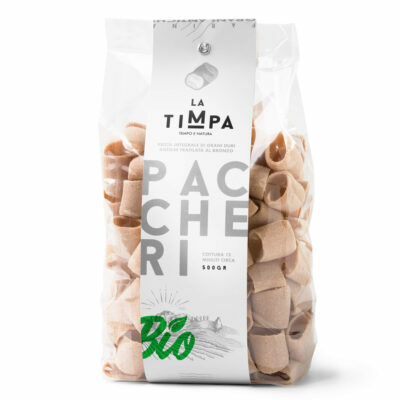 Pasta seems to have been made specifically to accompany sauces, vegetables and cheeses of which our country is an praiseworthy producer and every form can be suited to different sauces specifically because the form itself is not a simple flight of fancy but it bonds together differing flavours and characteristics which thus enhance the condiment and vice versa. 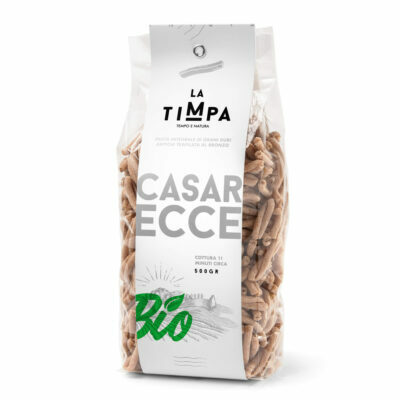 Pasta is the basis for the Mediterranean diet and, when eaten in the right measure, especially if it is whole grain pasta, and from ancient Sicilian grains, provides the proper nutritional intake in terms of carbohydrates (less represented in respect to traditional pasta) and is rich in protein and fibre which give a high sense of being full and is highly digestible. 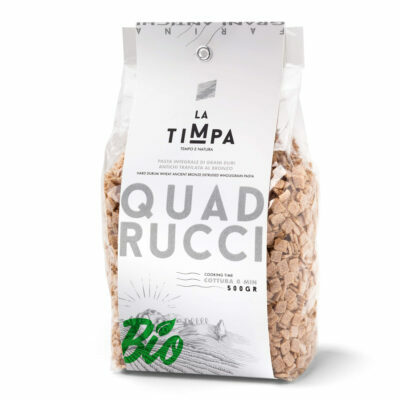 Extruded through bronze moulds and dried slowly they preserve all the flavour and important properties of stone ground whole grain flour. They are course and porous, with their unmistakeable sweet to the taste flavour they are well suited to every type of simple and uncomplicated condiment. .. when the dinner time comes around, seated in front of a plate of spaghetti, the inhabitants of the Peninsula know that they are Italians… Not even national military service, nor universal suffrage (we won’t go into tax responsibilities) exercise such an unifying power. 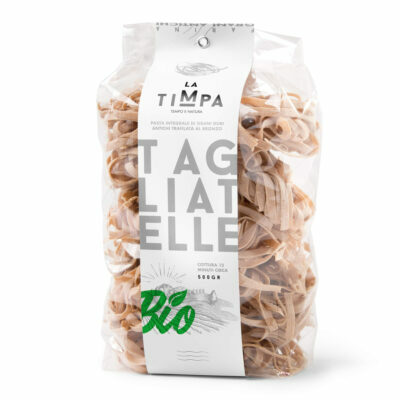 The unity of Italy dreamt of by the fathers of the Risorgimento is today called pasta. 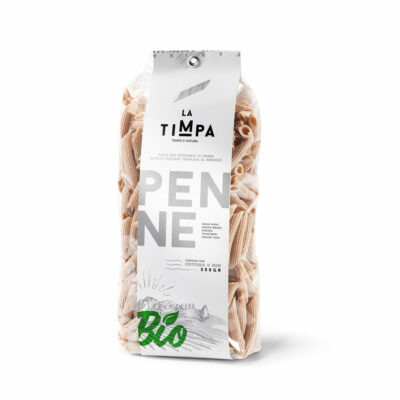 Timpa produces various forms of pasta exclusively with senatore cappelli wheat flour, forms such as Busiate, Tagliatelle, Paccheri, Casarecce, but it will soon enhance this selection with other new interesting forms tied to Sicilian and Italian culinary tradition in general. 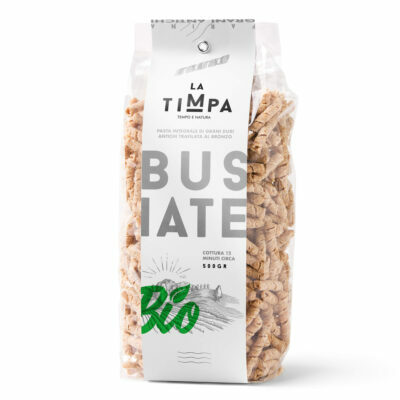 The Busiate takes its name from the “buso” which is the trunk of the Ampledesmo, an evergreen plant of the grass family, typical of the Mediterranean scrub, which was used for draw them in their production.